The red-faced barbet is an east African endemic found in grassland and wooded grassland in the northwest. 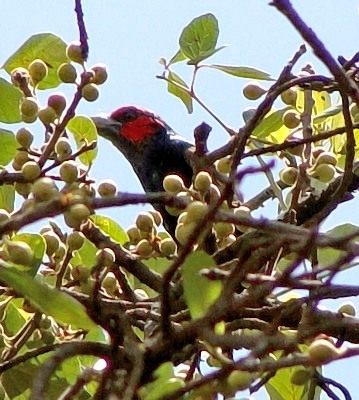 It is similar to the black-billed barbet but has a paler bill and all black wing coverts. This photograph was taken in Akagera NP (Rwanda, 4-10), courtesy of Jason Anderson.